A powerful memory is all what we all are looking for these days. A better and powerful memory always helps you to be a step ahead in your jobs, schools, and more in your life. With a powerful memory you can learn new things very fast which can help you to make money as fast learners always in demand of every employer. You can consider few memory improvement tips in your daily life to enhance your memorizing capabilities. Although except all those tips to improve your memory the best way you can try out by yourself in remembering process which involves most of your memory and helps to pay a better attention, planning and organizing. Now, here I am with some memory improvement tips which can change your lifestyle and helps you to have a powerful memory. So, here are 10 such memory improvement tips. Clench your fist: According toresearch, clenching your right hand and squeezing it tightly can help you to memorize phone numbers or shopping lists. Say it loud: This is the easiest way to improve your memory. Saying the things you want to remember to yourself loudly can help you to recall. Focus your attention on materials you are studying: In order to memorize something deeply and converting that knowledge or information from short-term memory into long-term memory you need to be active and pay your full attention. 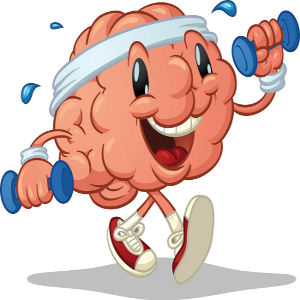 Exercise more: It is also said that exercise helps to increase the number of brain cells, with the growth of new brain cells in the hippocampus (i.e. an area of the brain important in memory and learning). According to the several studies, it has been found that aerobic exercise enhances memory and improves cognitive functions. Utilization of mnemonic devices: You can use mnemonics for remembering things. This is the simple way to memorize something you want to keep in your mind for long-term memory. You can use mnemonics rhyme, song or a joke which is somehow related to the matter you want to memorize and those kinds of mnemonics are best which utilize positive imagery, humor and novelty. Visualizing concept: If you are studying something then it will be fruitful to you when that remains in your memory so for that pay an extra attentions to pictures, diagrams, charts or graphics. You can also highlights the important things you need to remember with colorful pens draw charts or figures with your idea on your note books so that it will be easier for you to remember things. Drink Green Tea: Regularly drinking green tea can improve your memory and its key ingredients- the organic molecule EGCG (epigallocatechin-3 gallate), an antioxidant that protects against age-related degenerative illnesses. Doodle: According to Plymouth University researchers, during memory test they found that doodlers performed 29% better than non-doodlers when they were asked to recall places, names, etc. Doodling helps you to concentrate on the task what you are doing at the moment. Get enough sleep: According to study, it was found that people having not enough sleep affects the storage of memories and makes us forget soon due to formation of beta amyloid, the toxic protein that clogs up the brain. Nature effects: According to the study made in US, it has been found that person who walked around looking at nature did 20% better than others during memory test. Likewise, you can try out these above mentioned tips if you are searching for the answer regarding memory improvement.